Some of you, the Crew, may have noticed that I am usually a little behind the times when it comes to my hardware library. If you were to ask me what I have been playing recently, you will probably catch me talking about Smash Bros. or about an older handheld title. It is an interesting dynamic, keeping up on current Nintendo news and zeitgeist, while not updating my Nintendo library alongside other Nintendo fans. But I know it is not just me that has a hard time keeping up with Nintendo’s ever-expanding hardware and software library. I would like to start a discussion here on being a Nintendo fan on a budget. I want to keep it practical and easy, and I will kick it off with a few of my own tips and tricks. Before we get to practical application, we have to begin with the proper mindset. As I said before, Nintendo never stops making great consoles and games. It is not possible for pretty much any Nintendo fan to acquire everything they put out, much less spend quality time with each game. Not only can the quantity be overwhelming, but, just like it would be with any other hobby, playing video games is expensive. It may be true that gaming now is more affordable than ever, but that does not change the fact that even (most) gamers have bills to pay. Also, refuse to get caught up in “must-play” mentality. It is fine to set goals of games you want to eventually play, but, as I have gone on record saying, do not let other people dictate the games you play. Just because a game is “10/10” or a “classic” does not mean you have to play it to be a Nintendo fan. Do not feel pressured into playing a game. It is likely you will not enjoy your experience, and the anxiety to acquire and complete that title is not worth it. This is one I do a lot. There are some titles that are worth owning, and you and a friend each have your own copies. Often times with fighting games and other competitive games, you will want a copy for yourself to be able to play and improve at your own pace. Many other single-player ventures, however, can be experienced once through to satisfy your need. In these instances, it is handy to have a friend that can lend you the game and/or system. It is how friendships should work. Scott has lent me games on numerous occasions, and I have lent him some of my own things as well. Reciprocation is a healthy way to build a friendship. Often Scott will be too busy to play for a month, so he will allow me to borrow a game for that period. Currently, my wife and I are enjoying the SNES Classic. Later on, he just might have a problem that I’d understand. We all need somebody to lean on. Now, no matter where you go, new equipment and games will probably cost you a few coins. But, if you have managed to manage your expectations properly (see what I did there? ), you will not be driven by your need for the new stuff. This is where you have a decision to make: do you save up some money and/or wait for the new stuff to come down in price, or do you go for the bargain old junk at the pawn shop or eBay? Nintendo has so many classics to explore for the systems that you already own, and they can be more than reasonable in price. Also, with pawn shops, you never know what you will find. Maybe you will run across a rare gem that would be exorbitantly priced elsewhere, or you might find a game that looks cheesy and bad for twenty-five cents, take it home, and make a new memory of the terrible piece of trash you found. You could even find a reasonably-priced old Nintendo console, allowing you to retread the glory days of your childhood, or see what gaming was like when your parents were kids. *Gasp! * Say it isn’t so! Am I suggesting you play something on a non-Nintendo console? Of course! If you have never owned a Sega console, pick one up at a local thrift store or pawn shop. I can recommend several titles, if you need any assistance digging for gold. All sorts of retro consoles wind up in second-hand stores, or in your uncle’s closet; grab one and try it out! Games can be cheap, and it exponentially broadens the field of games you can play. If anyone knows the value of playing retro games (even on non-Nintendo consoles), it is the staff here at Two Button Crew. I hope this article has been an encouragement to you, especially if you are on a tight budget. You are not alone, and you can enjoy new experiences no matter your financial plan. We are not responsible for any first kisses that happen as a result of this episode. We’re gonna be so pro by the end of the series! eSports, come at us, bro! Dr. Mario history runs deep in Scott’s family. Almost enough to where he could beat levels with his eyes closed by himself – but not quite! He needs a little bit of Simeon’s help, and vice versa! Today the daring duo takes on an incredible challenge, to clear away viruses without the use of their eyes and only the guiding voice of their companion to help. Timing is very important in this puzzle game, and colors MUST be matched if success is to be attained. Lend the Crew your power as you watch – and enjoy! Recently, we had a blog post from Crew member Matt talking about the timelessness of the classics; some games age to perfection. Good games that can produce the same joy a decade after they are released are more rare than you would think. It seems that certain “good” games lack the timeless quality that make them enjoyable to play years later or are far surpassed by the games that succeeded them. In honor of the NES Classic edition, we’ll be remembering a few of them in this month’s “Nintendo Experience”. The next “Experience” inductee is Super Mario Bros. It may not be a favorite of mine, but no one can deny its impact on video games since its release. It showed us what a video game could be. The controls were revolutionary (though now dated. Sorry), and changed the way we saw physics in games. It had so many levels with each presenting a unique challenge to the player. Thankfully, though its influence is undeniable, better things came afterward to replace it. Some backgrounds were different from others to show time of day. Oooooooh! Aaaaaaaah! Next up, I’ll be inducting Super Mario Bros. 3 into the Experience. It’s a game that changed everything about Mario, the platforming genre, and video games in general. For years it was the best-selling non-pack-in video game of all-time. The different worlds, the new power-ups, all of the copious secrets; these are just a few of the elements that work together to make this a classic. It could also hold the key to the Mario timeline. If you pay attention to the stage play motif (such as the curtain rising/falling and Mario exiting the stage at the end of each… stage), it can be seen that the game is just one big production. This could mean that Mario isn’t a plumber, but a character with differing roles depending on the production. This would be akin to many of the great golden era cinema comics, like Charlie Chaplin, Laurel and Hardy, and the Three Stooges, who, while playing the same “character”, would be in vastly different contexts with no fluid storyline. That would explain the sporadic variety of Mario’s activities; he’s just an actor put into different scenarios without an overarching narrative. I digress. 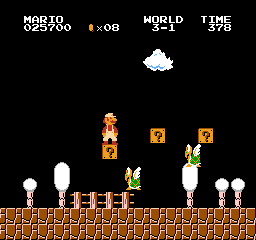 On top of the power-ups and items, Super Mario Bros. 3 has incredible level design. 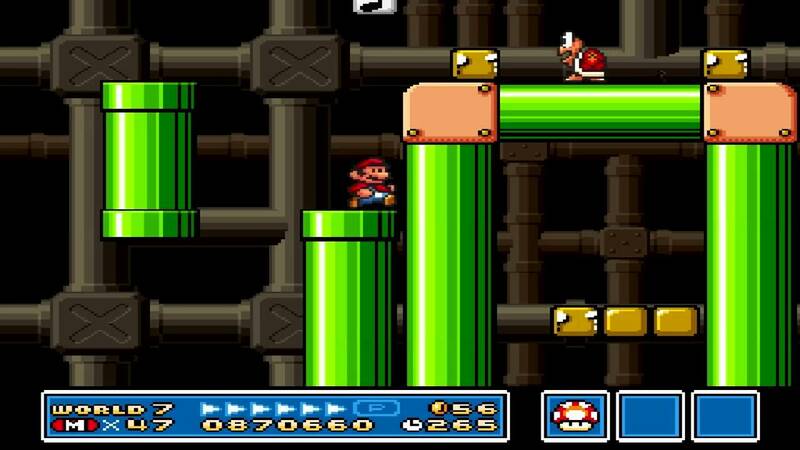 For example, some of Pipe Land’s stages are completely vertical, and when you reach the stage’s sides, they wrap around, as if Mario were circling the inside of the warp pipe. Such a simple idea, yet the possibilities it creates are mind-blowing. Each stage is memorable because it presents a new puzzle and a new challenge. Of course, none of this would matter if the creators had not nailed the most important aspect of game design: control. Whereas the controls of the original, though revolutionary, have not aged very well, Mario 3’s controls are perfectly implemented, and have aged like a nice wheel of brie. Lastly for this month, Kirby’s Adventure makes the cut. If there was one word to describe this game (and also Kirby’s appetite) it would have to be “massive”. There were so many worlds and levels to explore, copious secrets scattered everywhere, boss battles that all required a different strategy, and of course, tons of special abilities. In contrast to his first quest, just about any baddie you inhale will give you an ability that had its own strength and weakness. These powers ranged from the silliness of Hi-Jump and Splash, to the super cool Sword and Back-Drop, to the devastation of the Tornado and UFO, and you wanted to try out each one to see where it would be useful (or just because it looked cool). Kirby showing off his edgy punk rock Needle hairstyle! 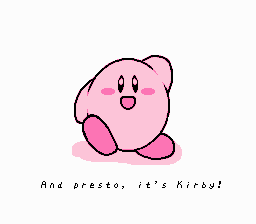 Obviously, the developers have expanded his powers over the years, but this is where Kirby as we now know him got his trademark copy ability. If you’re a Nintendo fan and haven’t enjoyed these (at least recently), what are you doing?!? Pick them up and play them now!